The So-Lite Splint Boot that we offer features molded material and scoring inside to help conform to horses leg, as well as scoring at the top to shorten the boot if neccesary. The boot is secured by two hook and loop closures. 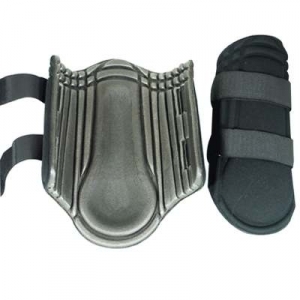 These are top quality Horse Splint Boot items for your Horses. This item is available in color Black.